In 1968, things were not easy for ABC. With a rather painful schedule, he could not compete in journalistic terms against his two dominant rivals: NBC, which had Chet Huntley and David Brinkley; and CBS, which counted on Walter Cronkite. The executives of ABC News, then, thought of hiring to discuss the conventions of the Republicans (in Miami) and the Democrats (in Chicago) to two brilliant intellectuals and decidedly opposed John Wick 3 Parabellum to each other but with equal ease for the controversy, the irony and sarcasm (for the political-television show, in short) as Gore Vidal and William F. Buckley Jr. The result of that ideological and stylistic confrontation was one of the most fascinating and influential pages in the history of American television and the co-directors Robert Gordon and Morgan Neville (Keith Richards: Under the Influence) made an impeccable work for Best of Enemies. to select the archival material, to obtain valuable testimonies and to reconstruct an atmosphere of time dominated by massive street protests (and violent repressions) always with the Vietnam War as a watershed. The film goes from the macro-the deep social contradictions, the embryo of the Nixon era (1969-1974) Silencer to the micro, with the strong impact that those debates generated in the rest of the lives of its protagonists, who continued to face only in media or intellectual terms, but even in judicial areas (the author of Myra Breckinridge called it “crypto Nazi” on screen and the founder of the magazine National Review told him “queer”). 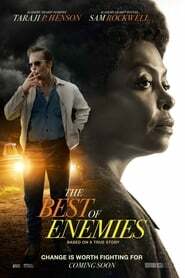 After its premiere at the 2015 Sundance Festival, Best of Enemies won numerous awards and nominations at shows and at The Vice of Hope annual awards of various critics associations. For those who enjoy politics, media (and politics in the media) their vision is nothing short of essential.